MADRID --- The presence of drones recently forced the closure of Gatwick airport for three days, suspending 1,000 flights and disrupting the plans of about 140,000 passengers during Christmas, and Heathrow for one hour. 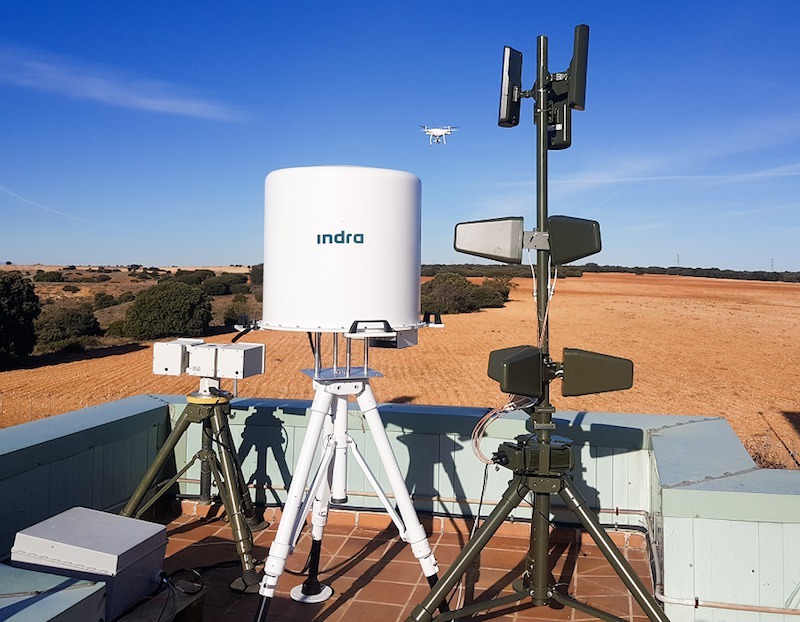 Indra is one of the few companies in the world that has a comprehensive solution specifically prepared and tested to protect an airport or any other space against drones flying without authorization. The solution is so effective that it can be used in a precise manner to disable a single drone, in a 'surgical' intervention, or a whole swarm of drones, applying more aggressive measures. If an invasion occurs from different points simultaneously, it activates a full protection dome. Developing an effective solution requires having in-depth knowledge in different areas: radar technology, electronic defense, communications and command and control, among others. Mastering them is essential to deliver to each client the 'shield' they need, since no two airports are identical, nor does it require the same tools to shield a private enclosure or a public space accessible to anyone. Indra's ARMS system consists of a radar and infrared cameras that perform detection and identification tasks. Its electronic warfare sensors sweep the radio spectrum to determine the type of link, frequency or navigation system used by the drone. The operator supervises the entire operation from his/her control position. The jamming equipment sees to cutting off communication with the pilot and blinding the navigation systems of the device. It can also use deception or spoofing techniques to take over and land it in the desired location. What's more, it is able to determine the most likely area from which the operator may be acting to facilitate their arrest. It incorporates advanced artificial intelligence techniques that allow it to gain precision the more you use it. Indra's solution uses the most effective soft-killing methods to protect civil environments and neutralize any of the drone models available in the market. It can also be adapted to incorporate hard-killing techniques to shoot down the aircraft. These methods are, however, more typical of the military field, where there is a need to deal with drones that are much more technologically advanced and are able to fly autonomously without needing an operator to control them remotely. However, the high cost and knowledge needed to operate them prevent them from becoming a problem for the civil sphere. Indra is one of the leading global technology and consulting companies and the technological partner for core business operations of its customers world-wide. Its business model is based on a comprehensive range of proprietary products, with a high-value focus and with a high innovation component. In the 2017 financial year, Indra achieved revenue of €3.011 billion, with 40,000 employees, a local presence in 46 countries and business operations in over 140 countries.